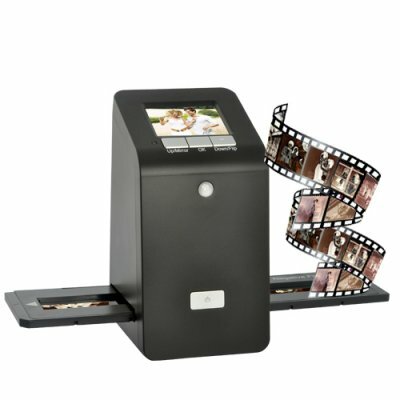 Successfully Added Film Slide Scanner - 14MP, 2.4 Inch LCD, SD Slot, AV Out to your Shopping Cart. A small investment in big convenience and safety for all those irreplaceable photos featuring a 14 megapixel image sensor and an impressive resolution of 5040x3360 pixels, this film scanner offers the most accurate photo reproduction in its class. This film scanner can be used in many other occasions as well. With video out, you can connect to your TV or stand alone monitor and use it as a visual aid for presentations. Displaying at a stunning resolution of 5040x3360 pixels, your photos will be truly brought into life. It’s also a great way to share some old photos with friends and family. The new and improved 35mm Film Scanner with LCD and SD Card Slot simply is the best way to turn your old roll film, slides and negatives into new photos. It is in stock in our warehouse right now for single piece or bulk stock orders. Order today and we will ship out within one day. From the leader in direct from China electronics, Chinavasion. Do I need a computer to use this product? NO. 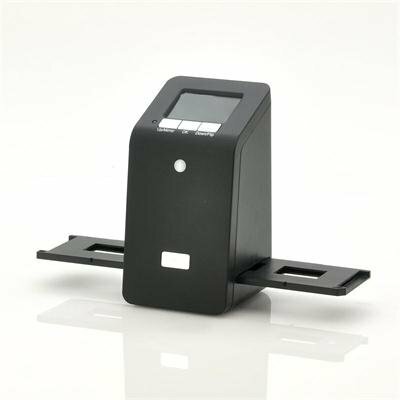 This is designed as a standalone product and saves the scanned images as JPG files onto your inserted SD card.